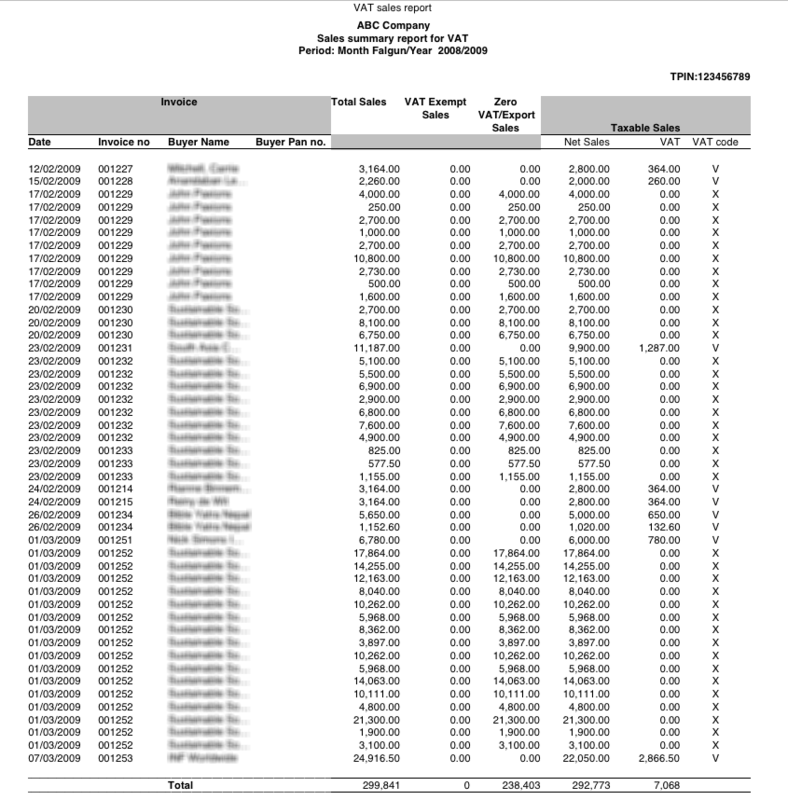 This report can produce a VAT Monthly report (Including VAT Sales and VAT Purchase) on the basis of the chosen Periods. This report can produce a VAT purchase report on the basis of the chosen dates. Showing Total Purchase, VAT exempt purchase, taxable purchase and taxable import. This report can produce a VAT sales report on the basis of the chosen dates, showing total sales, VAT sales, VAT exempt sales and Zero VAT sales.